At Richmond Hill location: Intermediate/Beginner classes salsa/ballroom/latin are on Mondays 8.15pm-9.15pm, 9.15pm-10.15pm Thu 7-8pm, Friday 7-8pm or Sat 11am-12pm; Contact us to express your interest in a specific class and will confirm the best class/time; Private/Semiprivate dance lessons by appointment. Private lessons are 50 min. Group lessons and semiprivate lessons are 1 hour=60 min in lenght. Special Events, Parties: birthday or bachelorette party with a dance lesson for your group; you can choose any dance style to a customized themed event of your choice; great fun for everyone: 1 hour dance lesson: $15 per person (8 person minimum) Discount for 10 or more people; or 1.5 hour dance lesson: $20 per person (8 person minimum). At Dance Art we teach Ballroom, Latin, Salsa dance lessons for all ages for social and competitive level and Wedding Dance Choreography lessons for the first dance. Wedding Dance became very popular today. Beginner dance couples can perform an amazing first dance after only few private dance classes. Call/e-mail us for a free consultation (bring a CD with your song). We can also send professional ballroom, latin, salsa dancers to perform/teach at weddings or events, Please click on the "Wedding dance (first dance) choreography and Shows" link, to check the dance shows packages. Do you have a small group pf friends/family interested to learn Ballroom dancing? We can schedule a semi-private or group ballroom, latin or salsa dance class for your group only. We also provide custom made Ballroom, latin and salsa dance dresses/dancewear/costumes (men pants and shirts also). The dresses will be shipped to your home address, it takes 15 days to be made and shipped. Any latin, salsa dress you choose costs $350 and any Standard/Ballroom gown/dress costs $400. We also have few pre-owned dance dresses/costumes for sale -$150-200​. Ballroom dancing is becoming more and more popular lately, and many have realized that it's an essential, lifelong skill. 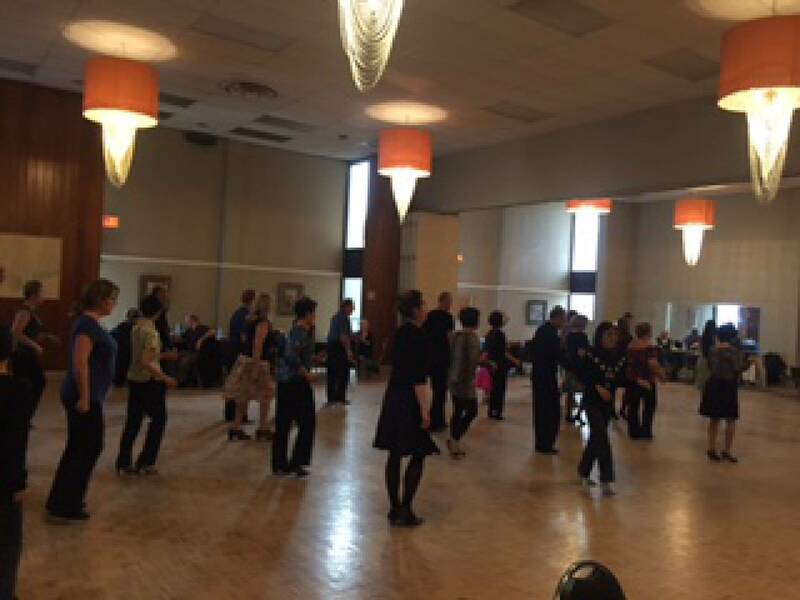 In addition to teaching ballroom, latin, salsa dancing, we also organize ballroom/latin dance outings/events almost every month (usually in Markham or Richmond Hill/Thornhill/Scarborough). We make sure that our students are able to recognize all the dances and enjoy the rhythm of every dance they study, whether Latin (such as Cha-Cha, Rumba, Jive, Salsa, Paso Doble, Samba or others) or Standard Ballroom (such as Waltz, Tango, Foxtrot, Quickstep and Viennese Waltz). 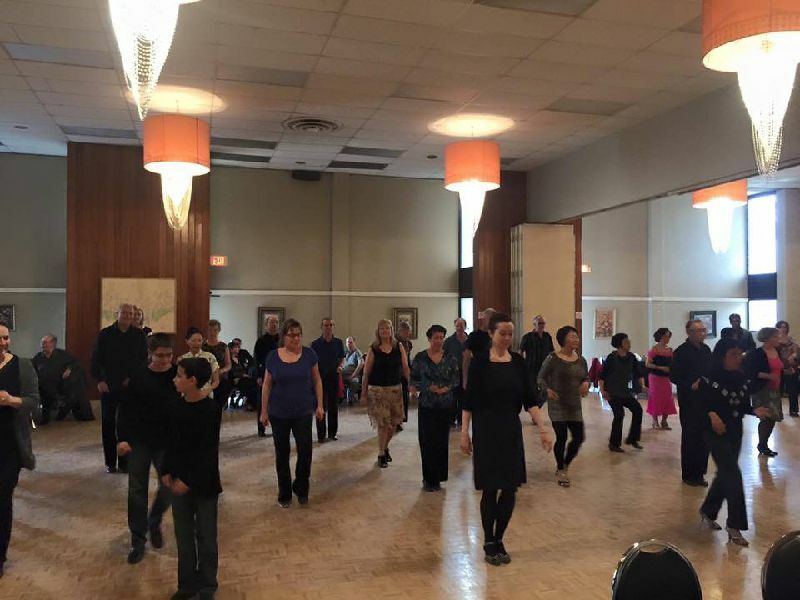 Our Dance Studio is situated at the border of Richmond Hill and Markham in the Greater Toronto Area, just North of North York, close to Toronto, Thornhill, Woodbridge, Vaughan, Scarborough, Newmarket. Dance Art Studio was founded in 2000 with the goal of promoting and encouraging Ballroom and Latin Dancing, and to bring the joy and exhilaration of DanceSport into people's lives. 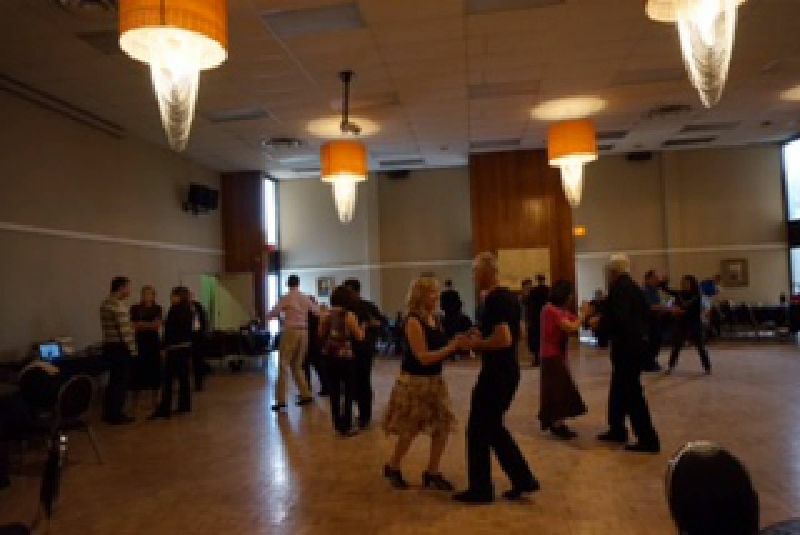 We offer Private, Semi-Private and Group Lessons with professional instructors in Standard Ballroom and Latin, including Cha-Cha, Samba, Jive, Rumba, Paso Doble, Waltz, Tango, Foxtrot, Quickstep, Viennese Waltz, and popular Nightclub Dances, such as Salsa, Meringue and Hustle. Preparing for your wedding? Let us help you make your first dance something to remember with our Wedding Dance Choreography classes. DanceSport is a term used to refer to competitive dancing on all scales and levels. Developed originally from strictly ballroom competitions, it now encompasses any form of competitive and artistic dance performances and has grown exponentionally to become a world-recognized team sport. In competition ballroom, dancers are judged by diverse criteria such as poise, the hold or frame, posture, musicality and expression, timing, body alignment and shape, floor craft, foot and leg action, and presentation. Judging in a performance-oriented sport is inevitably subjective in nature, and controversy and complaints by competitors over judging placements are not uncommon. The scorekeepers called scrutineers will tally the total number recalls accumulated by each couple through each round until the finals, when the skating system is used to place each couple by ordinals, typically 1-6, though the number of couples in the final may vary. At Richmond Hill location: Beginner/Intermediate level classes in Ballroom/Latin/Salsa are on Mon 8.15pm-9.15pm, 9.15pm-10.15pm, Thu 7-8pm, Saturday 11am-12, Fri 7-8pm, please contact us to confirm your interest; Private/Semiprivate dance lessons by appointment. Private lessons are 50 min. Group lessons and semiprivate lessons are 1 hour=60 min in lenght. Special Events & Parties For a birthday or bachelorette party with a dance lesson for your group. You can choose any dance style to a customized themed event of your choice. Price: 1 hour dance lesson,60 min., $15 per person (8 person minimum) 1.5 hour dance lesson, $20 per person (8 person minimum). Give the gift of dance to a loved one: purchase any amount below or we can customize any combination from the dance lessons below and we can send to you via email to be printed or you can opt to come by and pick it up.